The Canada Reads 2019 panellist made her opening argument last week and also talked about why she's participating in the great Canadian book debate. Lisa Ray is one of India's most successful cover models and an award-winning actress who has appeared in films like the Oscar-nominated Water and hosted Top Chef Canada. 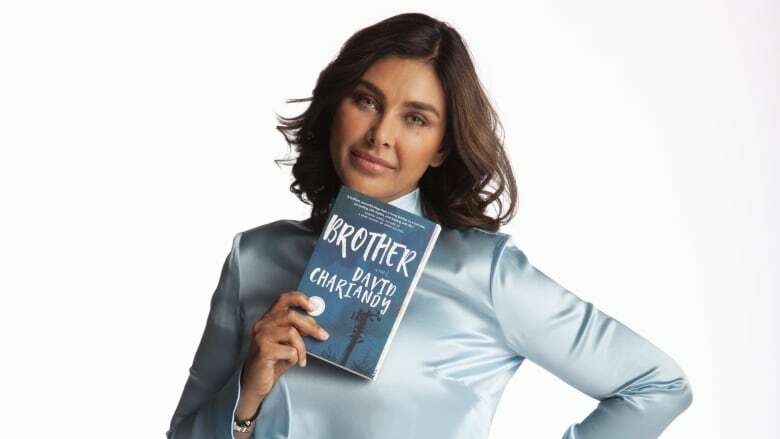 She's now a Canada Reads panellist, and is championing the novel Brother by David Chariandy. On Jan. 31, CBC Books revealed the 2019 contenders. On the CBC Radio shows q and All in a Day, Ray talked about why she chose Brother and why she's taking part in Canada Reads. The debates take place March 25-28, 2019. They will air on CBC Radio One at 11 a.m. (1 p.m. AT/1:30 p.m. NT), on CBC at 4 p.m. (4:30 NT), live streamed online at CBC Books at 11 a.m. ET and will be available on the free CBC Gem streaming service. "How do you move people? Two ways in my opinion. One is beautiful writing. You can tell one story many different ways, but when the writing reaches out from the page and grabs you by the throat or the hand and draws you into that world, that is definitely one way to be moved. I think David has accomplished that with Brother. "The other way, of course, is with the themes that are explored. These are such relevant themes. Even though his book is set primarily in the 1990s, in a Trinidadian family living in Scarborough, it is so relevant. It is very very timely. We've got class, we've got prejudice and racial tensions, but we've also got music, we have kinship, we have striving hopes and also senseless tragedy. It took David about 10 years to finally write this book. It's very much been a passion project, an obsession in giving a voice to certain characters, to a community that I think is underrepresented in mainstream Canadian literature. He's been very, very thoughtful about it. But the text is also very charged with emotion." "It will force you to look beyond the headlines. We live in a culture today that is all about headlines and quick sensational news bites. It tends to not normalize people. We don't then connect with the flesh and blood people behind headlines, like this shooting happened in Toronto — and Toronto has been going through a lot of gun violence recently — and we tend to dismiss the people who are involved in that. How can we reach out to that? How can we find a solution to that if we don't treat them as flesh and blood people and connect with their everyday problems? There are circumstances that push people into a pressure cooker and there are also people who become victims of gun violence who are just triggered or brought up on the wrong side of town and are a victim of circumstances." "Brother, set in Scarborough in the 1990s by David Chariandy, takes us through the universal experience of loss through a coming of age story of two brothers of Trinidadian origin. In Brother, we bear witness to the workings of kinship, class, gender, love, race, thwarted hopes and senseless tragedy. This poetic book is a ballad, it is now. It is an opportunity for Canada to claim its own modern-day opera set in our own backyard. Brother will linger long after you finish, move you to analyze your own prejudices, to look beyond headlines and question your own idea of what is valour and heroism."